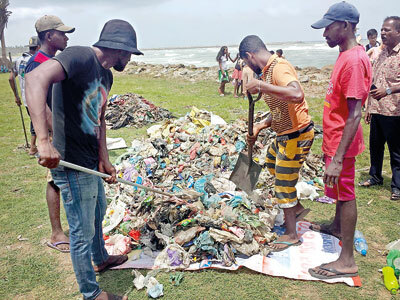 Government, villagers and non-government organizations have launched a multiplicity of programmes aimed at clearing garbage in an effort to minimise the spread of dengue. 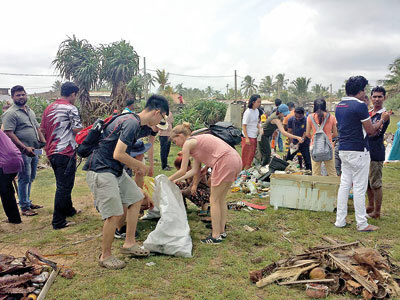 Last week a group of foreign university students visiting the country joined hands with locals to clean up a stretch of beach in Moratuwa. 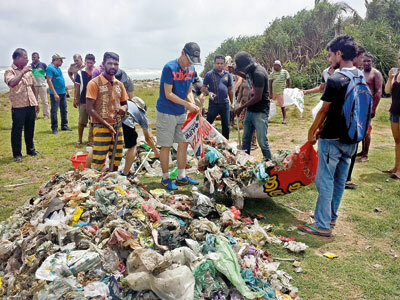 The foreign students, together with students from the Moratuwa University and workers from the Moratuwa Municipal Council joined hands to clean up a 500-metre stretch of sea shore. 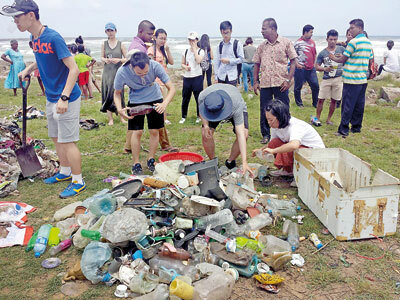 Students from a host of countries, comprising students from China, Sweden, South Korea, Germany, Belgium, France and Turkey participated in the cleanup effort. The campaign revealed a number of breeding sites of the dengue mosquito which were destroyed. 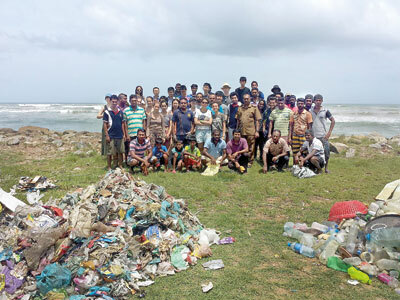 Plastic bottles, polythene bags and other recyclable materials were collected separately and sent for recycling.